With a Doorbell Camera, You’ll Never Miss a Visitor! When securing your home, consider a doorbell camera to notify you of people at your door when you are away. Aside from security, never miss an important moment at the front door. Whether you expecting a package while you’re at work or have singing carolers visiting in the evening, doorbell cameras will notify you on your smartphone or device of anyone who comes to your door. Here are some perks of installing a doorbell camera to your front door for added security and notifications. With a two-way conversation and one-way video, you can talk to whoever is at the door and see who they are or what they may have. There is also an 180-degree wide-angle view of your doorstep. Smart detection will recognize people, so you will not be notified every time a car or animal crosses the front of your house. Doorbell cameras are also equipped with a day or night vision, ensuring 24/7 visual safety. Custom notifications are also available to receive alerts. This includes a secure notifying alert, which will let you know when someone is at your doorstep, even before they ring your doorbell. You can see the expected and unexpected, securing your front door. While you’re eating dinner or expecting guests, know right away who has arrived as you are running around the house getting ready. When the video is turned on due to person detection, recording is available with playback. This allows you to go back and see which neighbor left delicious holiday cookies or when unexpected visitors came. Give the gift of security this year to your loved ones. Whether it’s for your parents or your kid’s new home, share the doorbell camera experience and comfort this holiday season. Doorbell cameras bring an extra amount of security to your home, being able to monitor when you are away or who may be at your home late at night when you are sleeping. You can also converse with people who may be coming to your home to deliver a package or sell something when you are not at home. With all the features that are available to you on your smartphone, you will be sure to feel more secure about being away from your home. 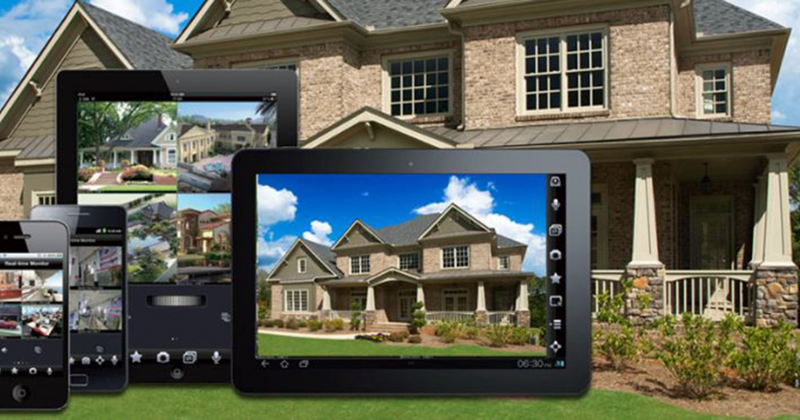 Ensure your loved ones are protected with our home video camera systems. Contact us today for more information!